We can design, install & manage your wired or wireless network, including all the necessary routers, switches, modems, etc. 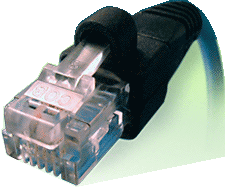 We can offer economical alternatives for T-1, MPLS & other forms of WAN connectivity & Internet access. Do you need help developing a Local (LAN) or Wide (WAN) Area Network or someone to service your existing Network at a reasonable price? STC provides networking solutions for data centers, campuses and small to medium size businesses. Designing and installing computer networks is our specialty. We will help you design a network to meet your current needs and allow for new technologies in the future. Whether you are a small company that just requires the basics or a large corporation with multiple offices with high-speed data connections, STC is capable of installing and maintaining the required equipment to make your network work for you. We at STC have extensive knowledge with many equipment manufacturers. This allows us to make network management easier to use and understand and ensures complete compatibility of electronics. We are prepared to handle all your cabling needs: Cat 5e, Cat 6, Fiber Optic Cabling, Certification, Testing and Repair, Coax and Surveillance Cabling.